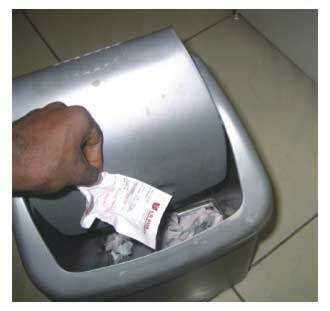 Many people take statement printouts for every transition and throw it in the dustbin in the ATM-Room. In one hour we can see the bin gets filled. Generally people do not remember the exact amount they have withdrawn. People take this slip to know the balance and according to that they withdraw money. After forming this habit, people keep taking receipts even when not required, people do many a times just throw away these receipts in trash. This does lead to a lot of paper wastage in ATMs. We can save paper by displaying the remaining balance. Can we save Paper in ATMs with change in UI Design? Well that slip is your proof of transaction also. Better idea would be asking the user if he needs a reciept or not. If you have a habit of keeping the reciepts, you can press 'Yes' or the easy go lucky guys like me can hit a 'no' and zoom out. Eliminating the reciepts entirely is certainly not good. Keep in mind that we use lot of ATMs from different banks and it is alwasy better to keep that reciept untill the transaction is reflected correctly in ur bank statement. I disagree with the previous comment. User behavior is influenced by the design, in this case. If ATMs did not provide receipts by default, more users would alter their behavior and fewer would take an additional step to request one. The design should be changed. Conservation should be emphasized. Gradually, users will alter their behavior until no receipt is the norm, rather than the exception.